Maral is a Kula for Karma Volunteer Teacher at Integrity House Newark teaching the practice of yoga to women undergoing treatment for substance use disorder. She also teaches restorative yoga classes at Bloom Yoga and has launched an afterschool yoga program for students at the Hovnanian School. Allowing Bhakti to inspire and flourish the practice, Maral shares with fellow yogis the ever-existing bliss and peace one can open up to experience through practicing yoga. She is grateful to all of her teachers who guide her throughout the practice in refining her perspective, seeing the expansiveness of existence and embracing the present moment. By sharing the practice with fellow yogis, Maral has come to further realize how yoga fully aligns with her heart’s service. 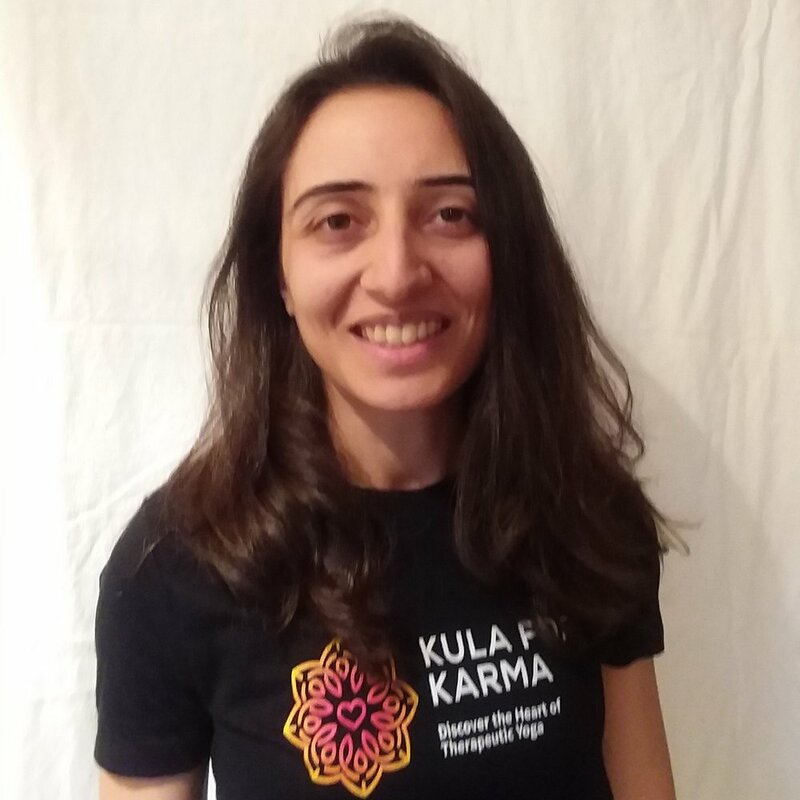 Maral completed a 200-hour teacher training certification at Naturally Yoga in Glen Rock and is advancing her studies with training programs including Ramapo College’s Mindfulness Based Stress Reduction program and Kula for Karma’s Mindful Yoga for Trauma and Addiction training. Fact: Upon graduation from Naturally Yoga, Maral was given the spiritual name Sukha which means pure joy and happiness.